Bookmarklets are nothing new, however Pinterest turned the concept of bookmarkletting into a world wide phenomenon. Pinterest has turned itself into a company with an astronomical valuation and no direct revenue, by simply bookmarkletting “Pinning” photos on interest boards. Heck even President Obama and Mitt Romney are doing it. But what if you wanted to go beyond just pictures. What if you wanted to pin websites, articles, heck even word documents and pdfs? Well you would turn to Fort Lee, NJ based startup Clipix. The company, founded earlier this year has already attracted the attention of both TechCrunch and Mashable and now we’ve had the chance to interview them. For starters they’re very very feature rich and the features don’t just sound great they work great. One of their most popular features is “Price Drop”. Clipix knows when you’ve clipped something that’s from a retail website and notifies you at set variables when they price either drops by percentage or to a certain dollar amount. Sure there are other services that do this but it’s all in one. The other big feature is the ability to clip things from documents and pdf’s which can come in handy later on. Then you can view the items you’ve clipped via mobile device. It’s actually rather amazing. You’ll see in the interview below, why Clipix is considered the “Pinterest for the real world”. Clipix is your one-click, save-anything, send-it-to-anyone-anywhere secret weapon. Clipix is an unbelievably useful bookmarking tool that is changing the way we organize our lives online. 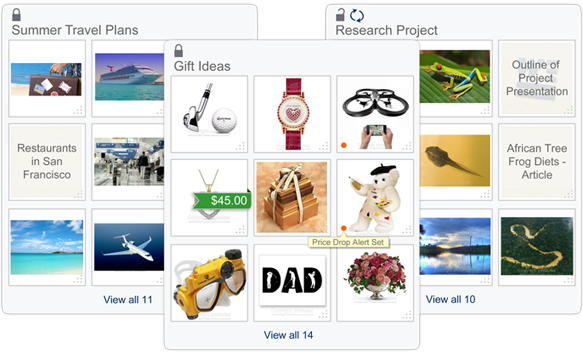 Clipix lets users easily save and organize everything that they find online or offline and want to get back to. Users simply go to www.clipix.com, drag and drop a “clip” button onto their browser bar, and then click whenever they find an item that they want to reference later. Clipix allows users to clip items into customized Clipboards such as “Articles I Want to Read”, “Vacation Ideas, ”anything the users want. Each clipboard can be saved as either public, completely private or private among a designated group. Clipix is not limited to material found on the Internet; users can also add Excel, Word and PDF documents or pictures from a mobile device to Clipboards, making it ideal for both personal and professional use. 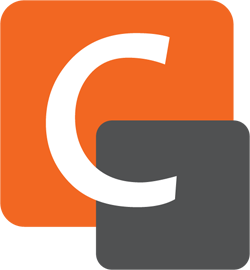 Clipix was founded in 2012 by Oded Berkowitz, a veteran Wall Street professional and web entrepreneur. We’re a dedicated group of experienced entrepreneurs, designers and developers who care deeply about the experience we create for our users. We combine the stability, business fundamentals and capital of an established company with the atmosphere and mindset of a hot startup. What problem does Clipix solve? Clipix solves the problem we all have of seeing tons of things online constantly and never having a good way to save and organize them. · Privacy controls: Since Clipix is a utility and not a social network, it is the user’s choice if to have their clipboards private or public view. Every clipboard on Clipix has a little lock on it, and by clicking the lock, the user chooses the privacy level on their clipboard. Over 70% of clips on Clipix are in private clipboards. · File upload: Since Clipix is a real organizational tool, users are able to upload documents that they have on their desktop as clips. Users can upload photos, Word documents, Excel documents, PDF’s, etc. 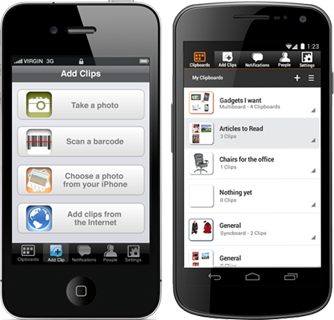 Files are then stored in the cloud and are always accessible via Clipix just like the user’s other clips, including on any mobile device. · Custom thumbnails: Clipix is not about pretty images. It’s about really helping our users to organize their online lives. In addition to being able to upload documents as mentioned above, users are also able to clip from pages that only have text and no image. · Multiboards: As an organizational tool, users can drag one clipboard into another to create a multiboard that can contain many clipboards. When users have many clipboards this maintains a sense of order and is especially useful when using Clipix for different projects. · Syncboards: Sharing and collaborate on Clipix is an intuitive, simple, cohesive experience. If users need to share information, plan a trip, a party or anything else, they can send each other a clipboard with clips or any other information in it, and when received by the friend, it becomes a syncboard. There is no limit to how many members can share a syncboard, and all members can contribute to it. When a clip is added to a syncboard, all member see it live and can comment on it. · Price Drop Alert: This is a patent-pending, proprietary feature of Clipix. Members can now clip items to their clipboard from most retailers’ websites, and set a price alert at which they have a desire to purchase that item. Our system automatically “pings” that retail website daily and promptly notifies the member when the desire price is reached via email and clipboard notification. · Copyright: At Clipix we take copyright seriously. We place a watermark on each image that is uploaded to Clipix because we believe that those who create original work and own the rights should not have to worry about someone else using their work without permission. · IPhone and Android Apps: Clipix is dedicated to providing excellent mobile experiences to users of multiple mobile operating systems. We have both iPhone and Android apps, providing our members a way to always be connected and synchronized with their clipboards. One dilemma we’ve encountered is having too many ideas. We constantly have 100 ideas or more, and we always don’t know what we can do with them all. One challenge we’ve overcome in the startup process is staying true to our vision. Despite competition, and what people say, in regards to going more social, we are staying true to our core and always looking to improve upon our overall user experience. Our plans for developments in the coming months are to improve upon new things but also to continually build upon on our core being a organizational tool.